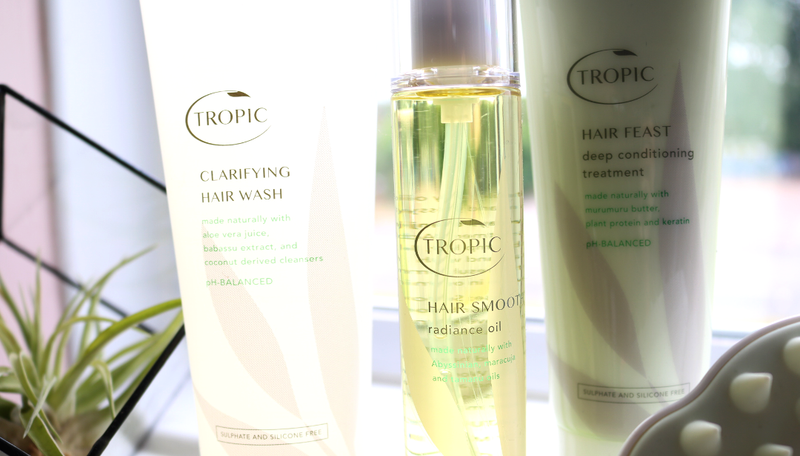 Tropic are on a roll with their new releases and these SLS-free products are part of their latest haircare range. Many of my regular readers will know that I'm a big fan of Tropic (you can check out my previous reviews of their products here), but this is the first time that I've tested out any of their haircare. 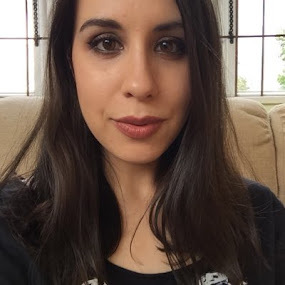 Often, when a skincare brand launches haircare I'm a little dubious at first, as many brands don't always get it right, but I'm pleased to say that my hair has been getting on well with these over the past few weeks! Despite having combination hair (oily roots with dry lengths and ends), I only wash my hair twice a week because if I over-wash it, I find that my scalp just produces too much oil and it gets greasy really quickly. In between washes, I use a dry shampoo to refresh it, and I always prefer something more clarifying for when I actually want to shampoo it properly. Tropic's Clarifying Hair Wash is ideal for people like me as it removes all product build-up from the hair, but doesn't leave your scalp feeling stripped or dry afterwards. This pH balanced hair wash contains Coconut-derived cleansers, Aloe Vera Juice and Babassu extract, to gently cleanse and hydrate. 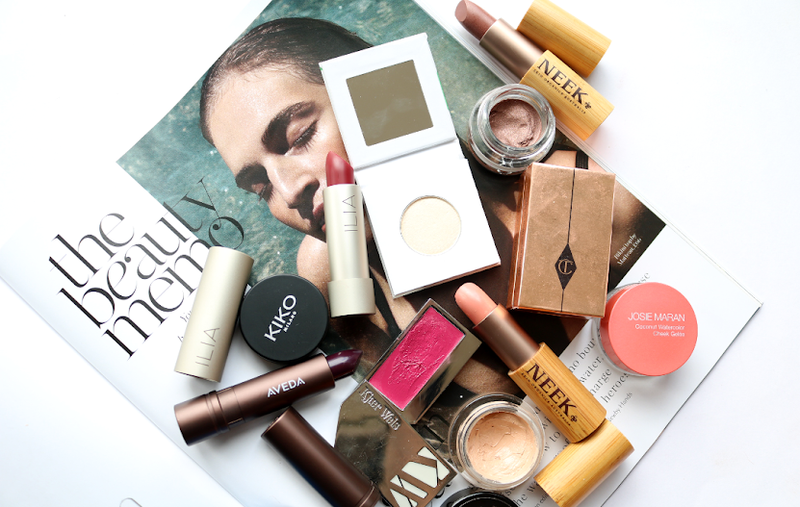 As it's also a concentrated formula, you only need to use a small amount each time, so although it's pricey, one tube will last you a good couple of months if you're not using it every day. It smells gorgeous too! As my lengths and ends are so dry, I often use a hair oil as a leave-in treatment to keep my tresses in tip-top condition, and this Hair Smooth Radiance Oil is something that I've been reaching for a lot lately. Composed of a blend of beneficial oils such as Abyssinian, Maracuja, Argan, Jojoba, Tamanu and Vitamin E, this oil is surprisingly lightweight and does a brilliant job of keeping my hair hydrated, soft and shiny. I generally apply half a pump after towel drying, but you can also use a tiny amount to smooth frizz and flyaways after styling. 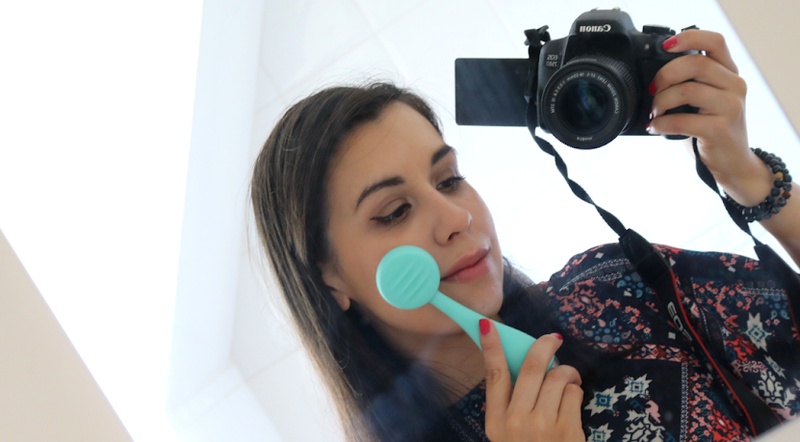 Once a week I like to treat my hair to an ultra conditioning hair mask, and Tropic's Hair Feast Deep Conditioning Treatment is a must-buy if you have dry or damaged hair that's in need of some TLC. Reassuringly thick in texture, Hair Feast is packed full of natural ingredients including Aloe Vera Juice, Glycerin, Jojoba Oil, Tamanu Oil, Vitamin B5, Keratin, Murumuru Butter and Maracuja Oil, to name but a few. It smells lovely and fresh as there's also Blood Orange, Lemon, Peppermint, Spearmint, Coconut and Vanilla in the formula, and it gets to work quickly in just 5 minutes, though I would recommend leaving it on for longer if you want a more intensive treatment (I often leave it on overnight for the best results!). After rinsing, my hair is wonderfully soft and feels so silky. If your scalp is prone to build-up, dryness or flakiness, or you have fine or thinning hair, you may want to incorporate a scalp massager into your weekly haircare routine to help stimulate the circulation and improve the blood flow to your scalp. 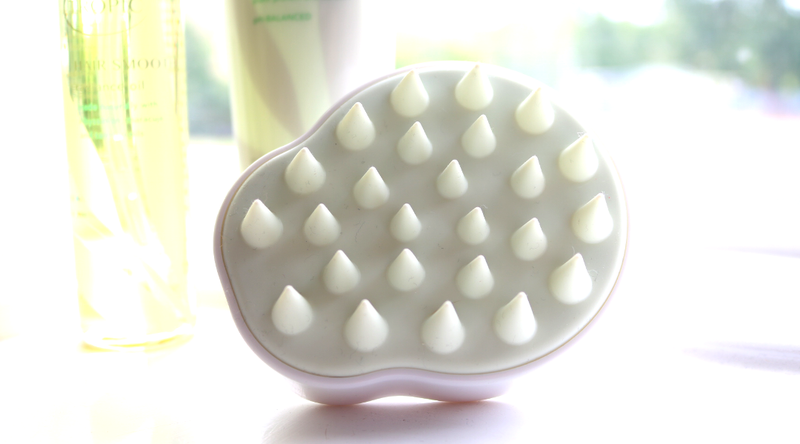 This one features a range of supple silicone bristles which come down into points to allow you to effortlessly massage your scalp, removing dirt and build-up, whilst also boosting the overall circulation. You can use it as often as you like and once you get the hang of it, it's actually quite relaxing! 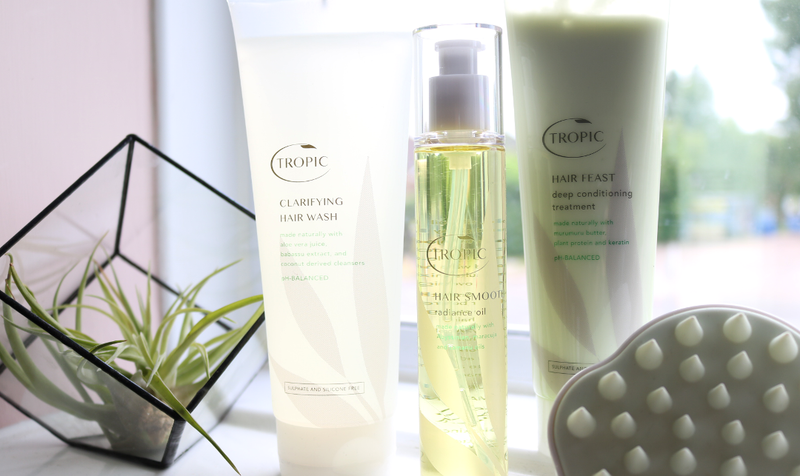 Have you tried any of Tropic's haircare range?